Supreme Court in gay cake case rules that bakery did not discriminate when refusing to bake cake captioned "Support Gay Marriage"
"In this case it was found that 'the less favourable treatment was afforded to the message not to the man'. It follows from this that businesses should not be compelled to express a message with which they disagree, unless asking them to do so can be justified. However, it's worth noting that case law has demonstrated that there is scope for conflict between the protected characteristics of religion or belief and sexual orientation, since some religious groups have strong views on homosexuality. It is a matter of balancing competing rights and while the Equality Act protects various characteristics and contains anti-discrimination provisions this may conflict with the right to manifest religious beliefs and freedom of expression under the European Convention on Human Rights." The Supreme Court has held that a bakery's refusal to bake a cake for a homosexual customer with a caption "Support Gay Marriage" was not discrimination on grounds of his sexual orientation, and therefore did not contravene the Equality Act (Sexual Orientation) Regulations (Northern Ireland) 2006 in Lee v McArthur and Ashers Baking Company Ltd.
Ashers Baking Co Ltd refused to make a cake for Mr Lee with the slogan "Support Gay Marriage". The Court of Appeal in Northern Ireland had held this to be discriminatory on the basis that if businesses were free to choose what services to provide to the gay community on the basis of religious belief the potential for arbitrary abuse would be substantial. The Supreme Court disagreed. It held that the reason for treating Mr Lee less favourably than other customers was the message he wanted to be iced on the cake, and not his sexual orientation. it pointed out that people of all orientations, gay, straight or bi-sexual can and do support gay marriage; "support for gay marriage is not a proxy for any particular sexual orientation". Interestingly, Mr Lee, who is himself gay and was known to be gay by the bakery, brought his claim on the basis that he had been discriminated against because of his association with the protected characteristic of sexual orientation. 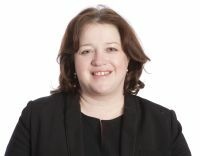 Associative discrimination cases are generally brought by claimants who complain about less favourable treatment they have experienced because of their association with a protected characteristic that they do not themselves possess. The Supreme Court found that there was no basis to suggest that the reason for refusing to supply the cake was that Mr Lee was likely to associate with the gay community of which the McArthurs (who run the bakery) disapproved. It therefore followed that there could be no associative discrimination claim. Evidence during the course of the hearing was that they both employed and served gay people and that the reason for refusing to supply the cake was not that Mr Lee was thought to associate with gay people, but was down to their religious objection to gay marriage.